On this day in history, December 14, 1799, George Washington dies at Mount Vernon after contracting a respiratory illness after being outdoors in the rain. George Washington was born in 1732 in Westmoreland County, Virginia. He first joined the military in 1753 when his older brother Lawrence, who led the colony's militia, passed away. Royal Governor Robert Dinwiddie broke the position into four smaller districts and appointed George as one of the adjutants with the rank of major. Washington first came to international attention when he was accused of assassinating a French officer. The event helped set off the French and Indian War. He was later chosen by the Continental Congress to lead the Continental Army during the American Revolution. His bravery, determination and ultimate victory in the face of impossible circumstances endeared him to the American people forever. Washington desired to retire from public service at the end of the war, but the people needed a President for their newly formed nation and they wanted him. Out of a sense of duty and responsibility, Washington agreed and served two terms as President of the United States. 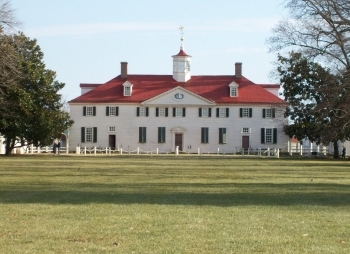 When his term ended in 1797, he finally entered retirement on his plantation, Mount Vernon, near Alexandria, Virginia. On December 12, 1799, Washington was out all day directing work on the house and inspecting parts of the property on horseback in the freezing rain. That evening, he failed to change his wet clothes during dinner with guests and developed an extremely sore throat. Historians believe he had acute laryngitis or acute epiglottitis, which causes the throat and epiglottis to swell, obstructing the airway. By early on the morning of the 13th, it was apparent that Washington was severely ill. Doctors were called, who drained blood from his arm. This was the practice of the day, as it was believed the sickness was in the blood. When he knew the end was nearing, Washington told Dr. Craik, his oldest friend, "Doctor, I die hard; but I am not afraid to go; I believed from my first attack that I should not survive it; my breath cannot last long;" to Martha, he said, "Go to my desk, and in the private drawer you will find two papers. These are my Wills -preserve this one and burn the other;" shortly before 10pm, Washington asked the time and after being told, spoke no more. He was 67 years old. Abigail Adams wrote of George Washington, "No Man ever lived, more deservedly beloved and Respected... When assailed by faction, when reviled by Party, he suffered with dignity, and Retired from exalted station with a Character which malice could not wound, nor envy tarnish." 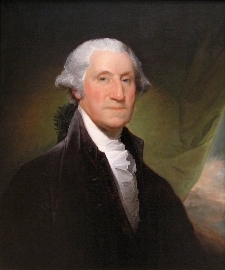 From the draft of his Farewell Address to the People of the United States when he left the Presidency in 1797, Washington wrote these words, "I leave you with undefiled hands, an uncorrupted heart, and with ardent vows to heaven for the welfare and happiness of that country in which I and my forefathers to the third or fourth progenitor drew our first breath." Read his doctor's report of the General's last hours. Learn more about the life of Washington at our George Washington Facts page here. Read George Washington's complete Farewell Address here.